Throughout October, as Alexis DeJoria takes part in the NHRA Mello Yello Funny Car Championship, Alexis DeJoria Racing will join Baylor Health and Nevada Health Care Systems (NVHC) to bring back the Free Mammograms for the Fans program. Mobile mammography units will be present at the AAA Texas NHRA Fall Nationals at the Texas Motorplex (Oct. 14-15) and the NHRA Toyota Nationals at The Strip at Las Vegas Motor Speedway (Oct. 28-29). The Free Mammograms for the Fans program allows fans over 40, regardless of health insurance status, to receive a free mammogram at the Dallas and Las Vegas tracks when they attend on an event ticket. According to the American Cancer Society, approximately one in eight women will develop breast cancer at some point – and they often lack warning, as many avoid mammography screenings due to the high cost. 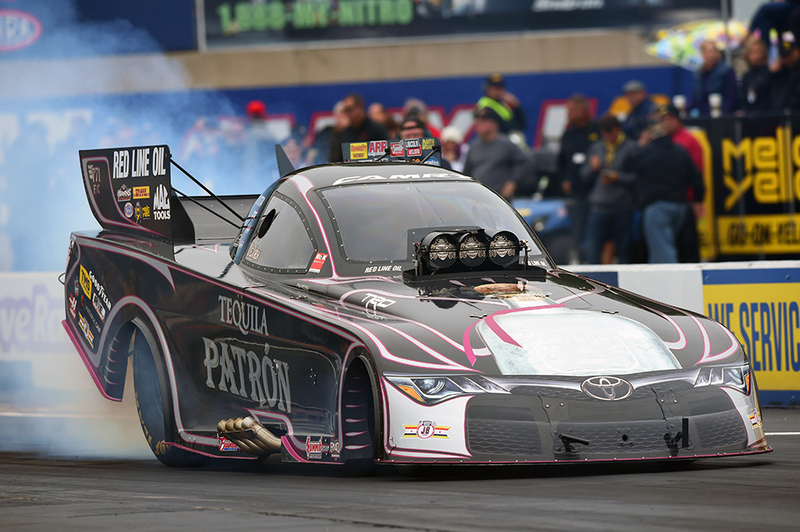 DeJoria, who is one of only a few women in the motorsports industry, chose to take the lead in the race to end breast cancer just as she’s taken the lead in many Funny Car races. “The last three years with this program have been incredible,” DeJoria said. 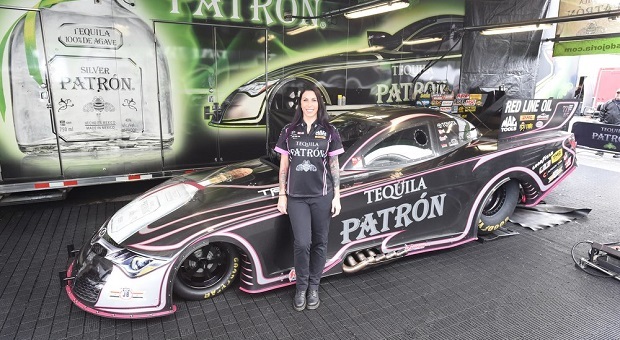 “Alexis DeJoria Racing is committed to providing free mammograms as long as we are out on the race track. The outpouring of support for this program is astounding. This is the program’s fourth year in operation; since its start in 2013, it has provided almost 350 free mammograms to NHRA fans. Originally, the program only featured at Las Vegas Motor Speedway, but last year’s program expanded to include the Texas Motorplex as well. DeJoria will be present around the mammography units (or ‘mammovans’), offering support and hugs for anyone who may themselves getting nervous. She strongly recommends taking the opportunity to get screened for free in a fun, stress-free environment. This excellent program is possible thanks to donations from the Patrón Spirits Company, Toyota, Kalitta Motorsports and DeJoria’s fanbase, which has supported the program through online charity auctions and personal donations. No appointment, insurance or referrals are necessary. Mammograms are awarded on a first come, first served basis. 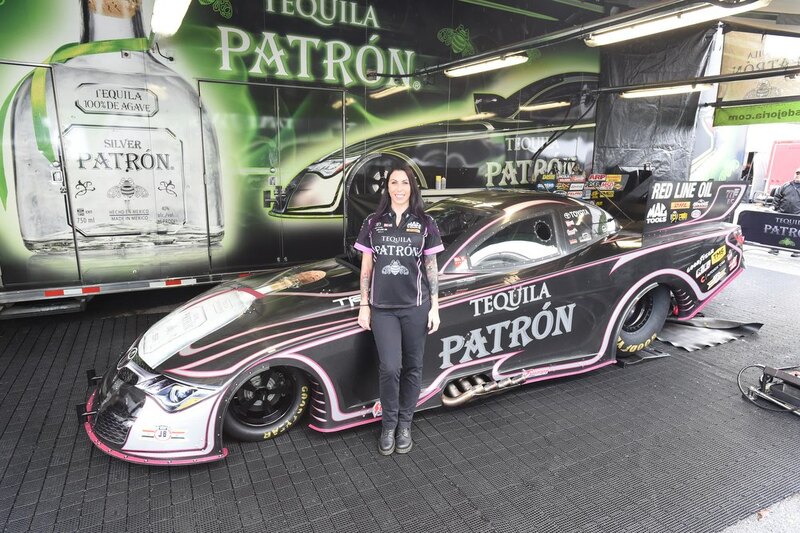 For more information visit www.alexisdejoria.com, follow on Twitter, Instagram and Periscope at @ADRnhra, or like Alexis DeJoria on Facebook.